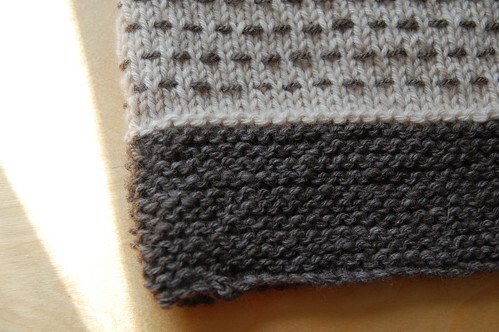 Off the needles, but in the pattern writing stage at the moment – a wide scarf or cowl using this fun woven stitch. 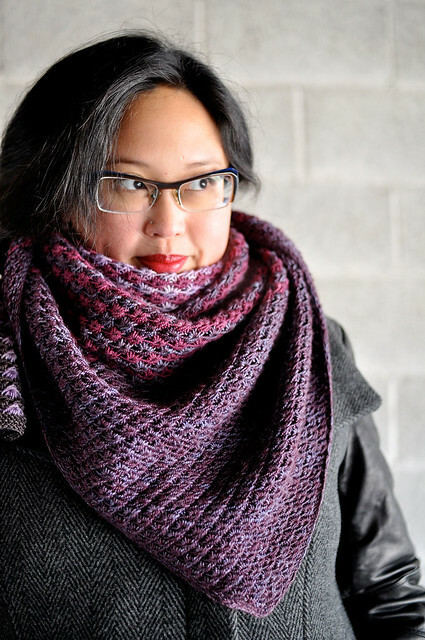 This little cowl was knit with some of my fancier yarns: Bijou Basin cormo/yak (yum!) and DK cashmere from Devon Fine Fibres that I picked up last year in the UK. They were just waiting for the right project to come along! This cowl uses very small amounts of yarn – 65 yards of colour A (the darker one in mine, the cormo/yak) and 90 yards of colour B (the lighter colour). And it’s fast! I like the neutral color combo and that woven stitch intrigues me. Oooooo, I’m loving the texture!! Love this – can’t wait to see the whole thing and delve into the pattern. So cozy looking! I look forward to seeing it modeled. Looks so soft! I am curious about the woven stitch. Can’t wait for the pattern! looks awesome so far! i love the slight woven stitch. Oooh, I love that woven stitch! Can’t wait to see the pattern, I love it so far. Lovely! I can’t wait to see the pattern!